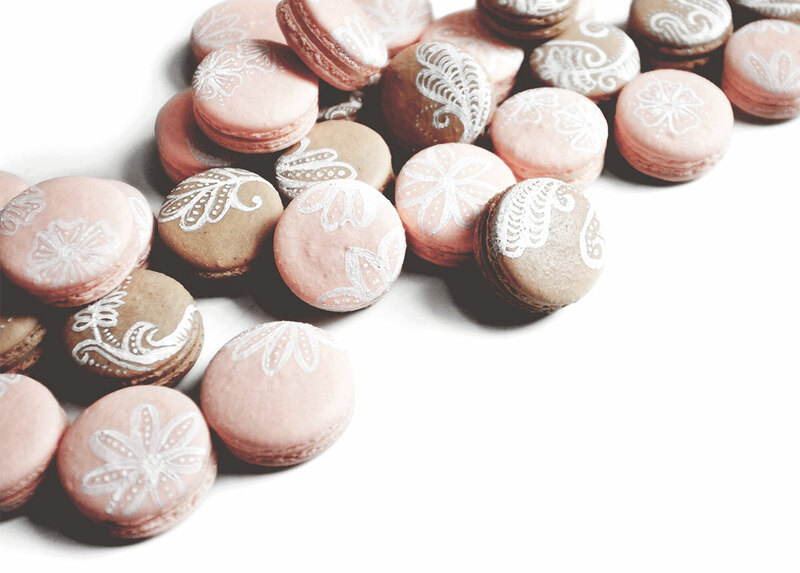 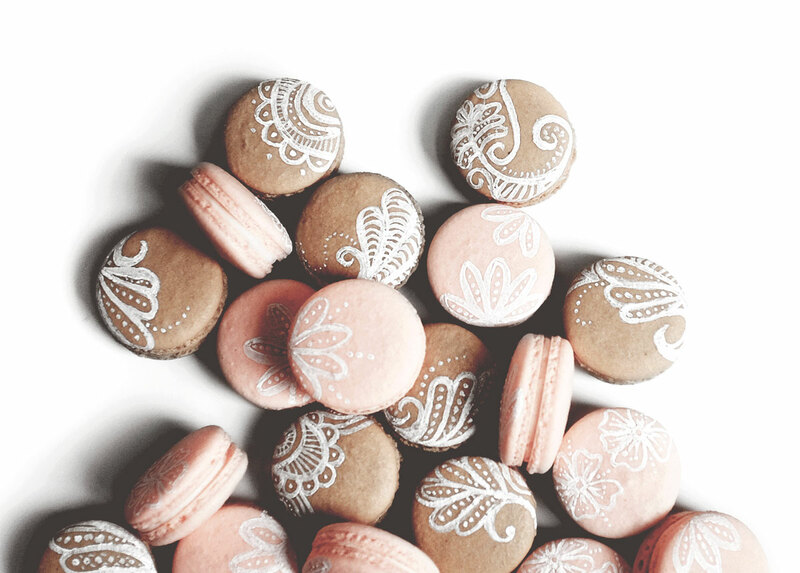 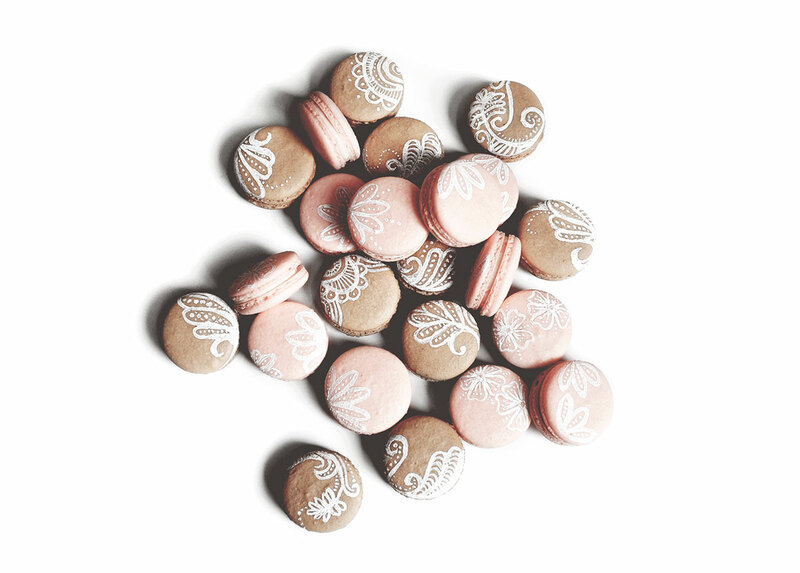 These custom macarons were made specially for a party at Lovely Bride. 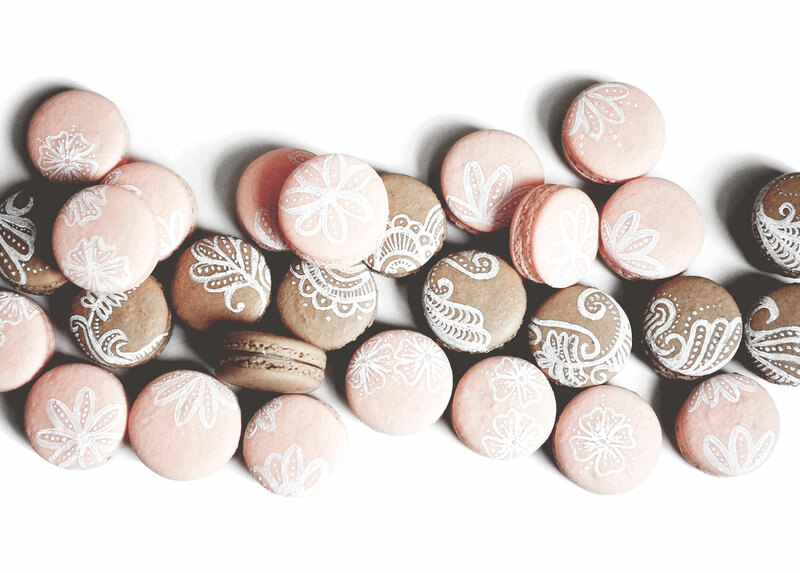 These are some of our favorite of all time! 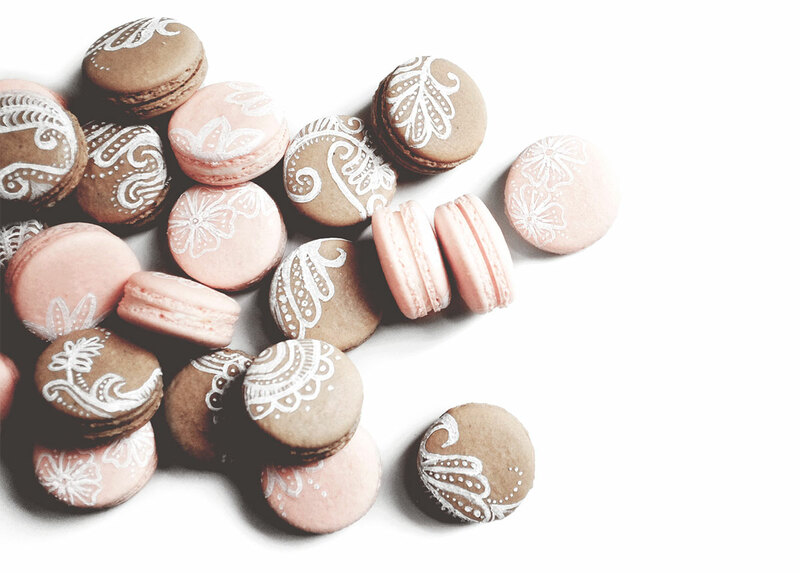 They actually look like lace and we had a lot of fun coming up with these detailed designs.